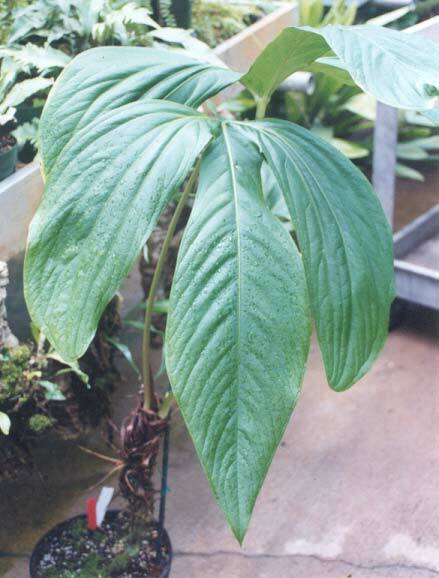 Anthurium falcatum Sodiro, Anales Univ. Centr. Ecuador, 20(138):30. 1905. Etymology: In reference to the falcate lobes of the leaf blade.